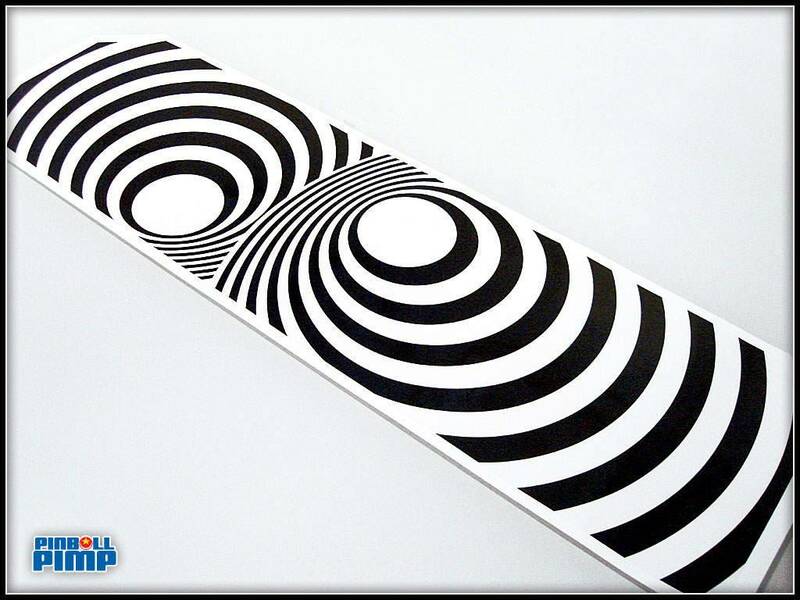 After the success of the TZ STARFIELD Ball Diverter Mod Decal, I decided to make another SPIRAL VORTEX design with a Matching Back Board decal. What a great improvement! 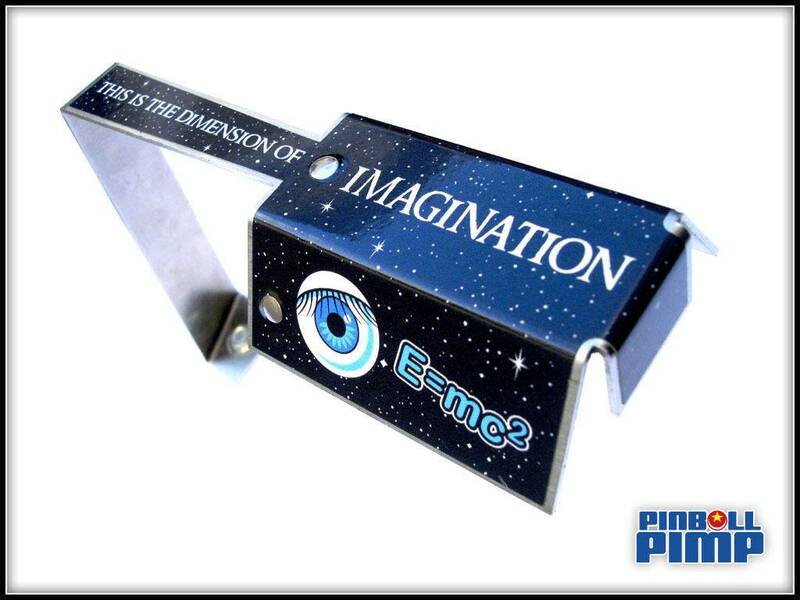 Each decal is professionally printed using the Best Quality Decal Material, Print and Laminate available. Decals are then precision cut on a plotter. PRICING includes FREE SHIPPING to USA. I actually like this very much. Nice work. 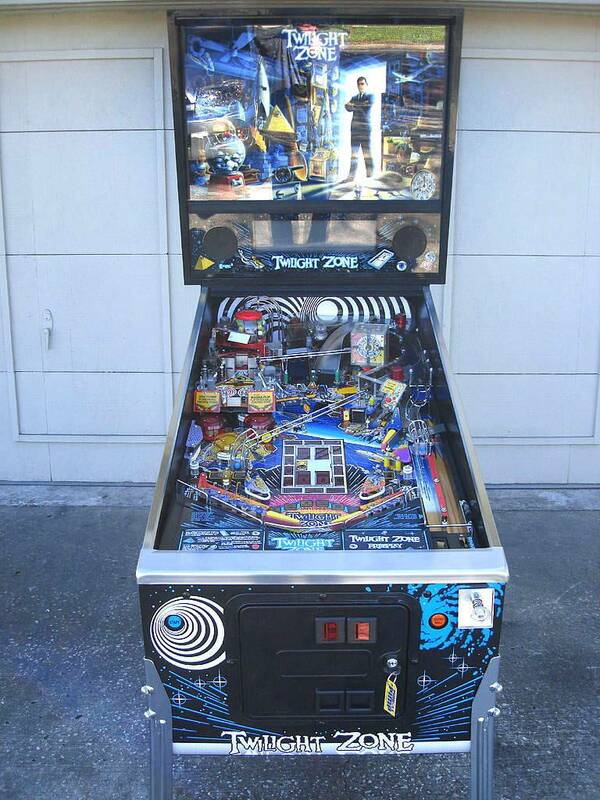 The backboard REALLY stands out on the game and is very noticeable! It gets your ATTENTION. It looks better in person than in the photos! maybe a picture of it from the players perspective? I think that would give everyone a better idea of the true look. Here are some more pics front the front and sides of a Hi-End TZ restore I did about a year ago. 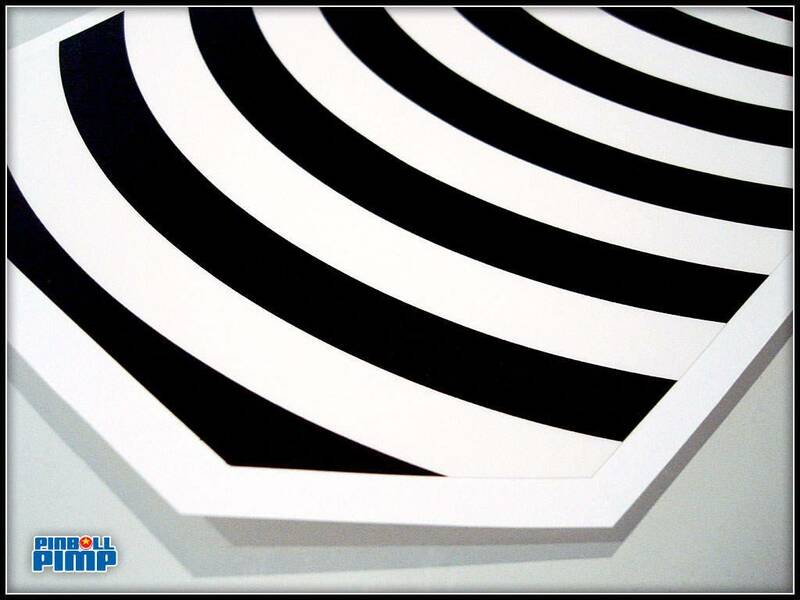 See how the Spiral accents the Front Start Button Spiral art! Trust me, I designed it this way on purpose!! Hey...that's my TZ!!!! I thought I had exclusive rights to that custom backboard decal??? I can attest that it does look great in person! 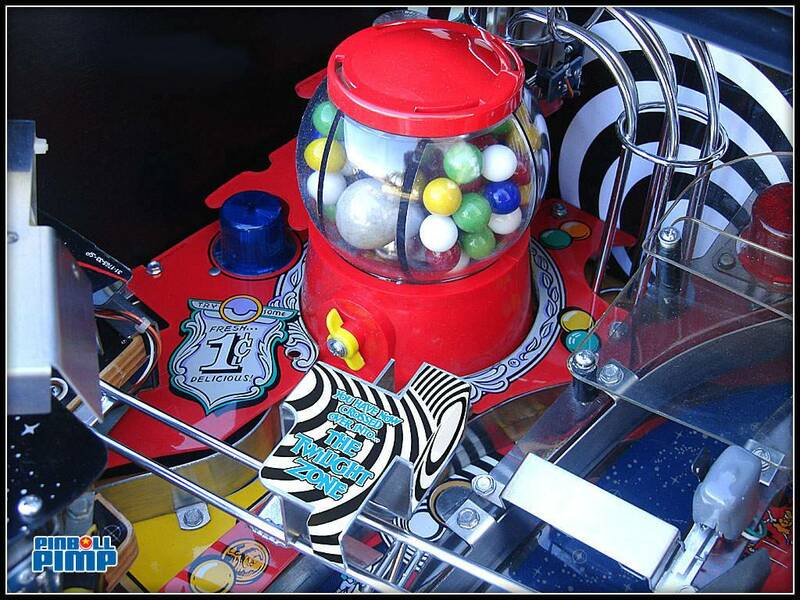 Yes Rob, you had the TEST machine which all of these sweet decals were designed custom for! 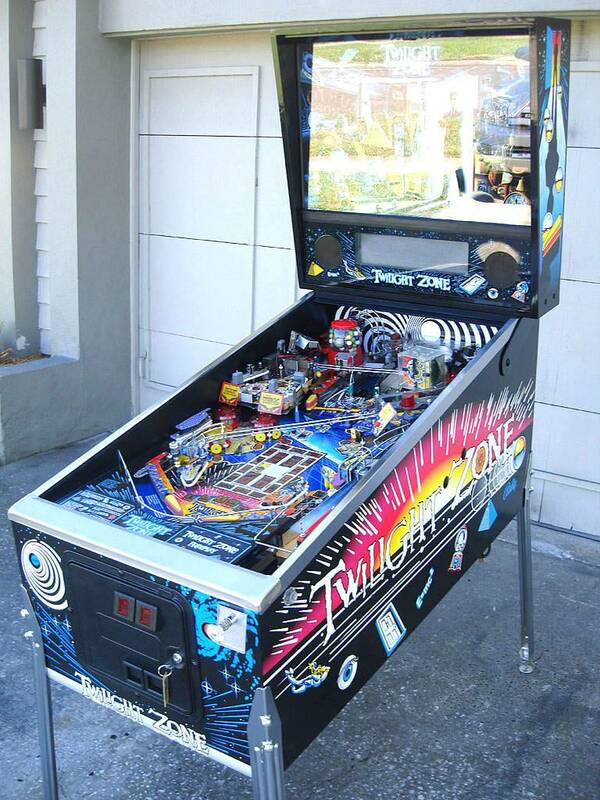 They came out so nice, I figured I would serve them up to the rest of the pinball community! Still have 8 more sets left and then they are gone. Not sure if I will EVER make them again with all fo the NEW designs I can keep coming up with to keep it FRESH! 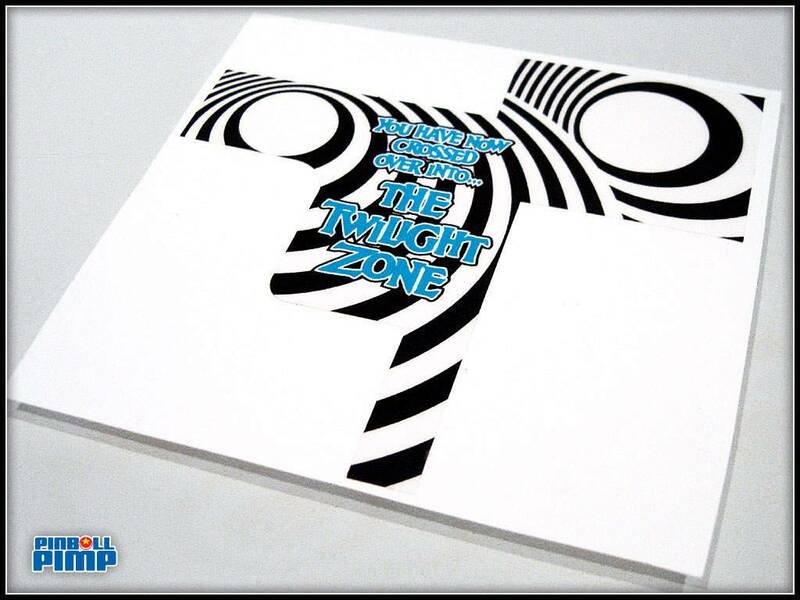 That Twilight Zone is absolutely beautiful! 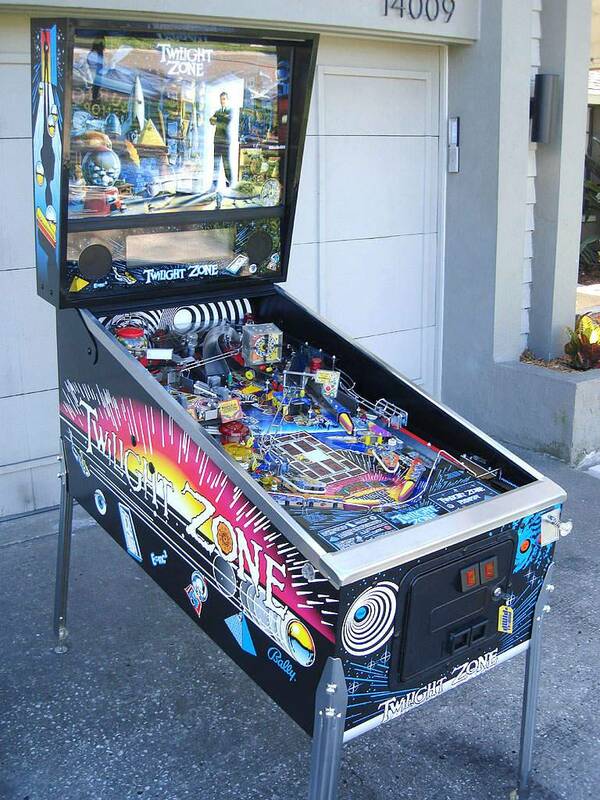 Could you do a decal to cover that ugly metal light over the TZ mini-playfield? The bare metal on that light has always bugged me. I really liked those laser-etched lights, but I haven't seen one available for a while. 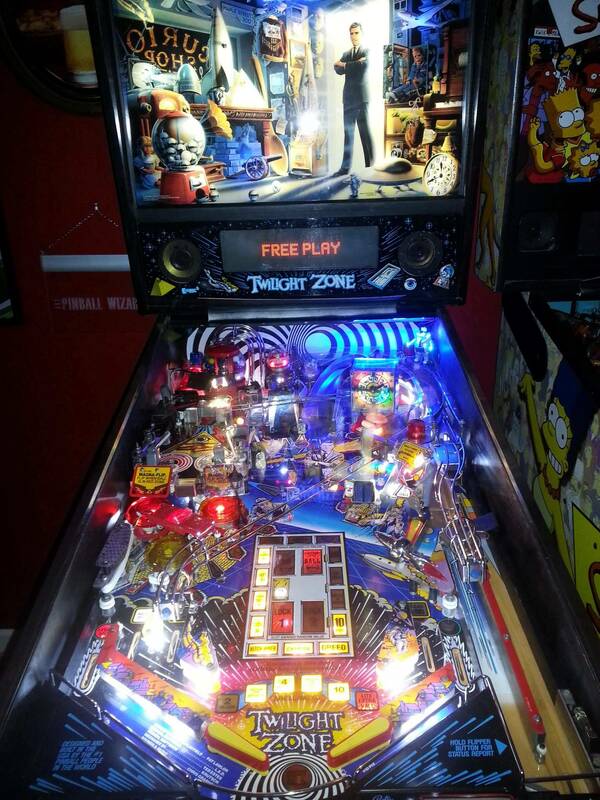 How about a cool decal for the TZ metal mini-playfield light Mr. Pimp? I like it! Sending payment. You are welcome to come by anytime to make a template...just let me know. I only have about 4 of these backboards left. I might not order more for a while. Get yours before they're gone! Payment sent for a set. Looks great for sure. Jeff. Just sent you a PM. Received and installed the diverter and backboard decals today. High quality product that looks great on the game. Thanks for making this available at a fair price. 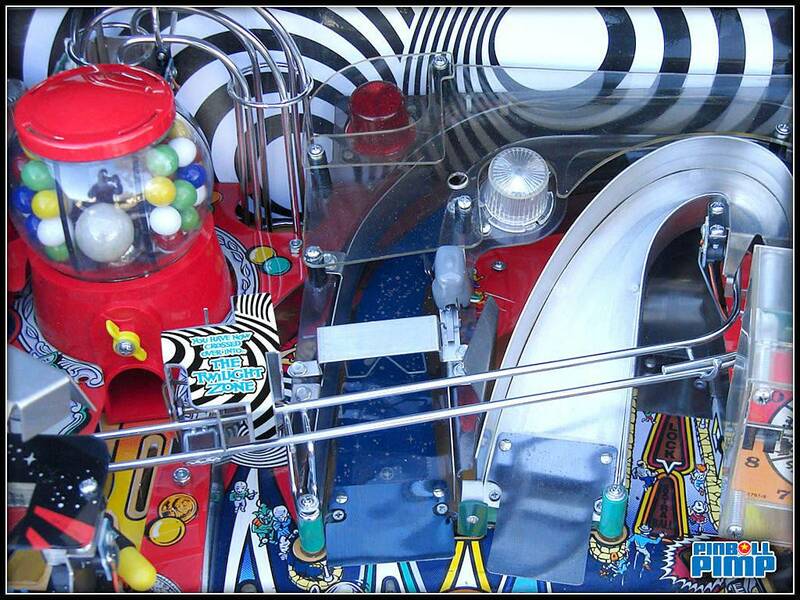 Just installed the decals for the diverter and playfield. Everything looks great. 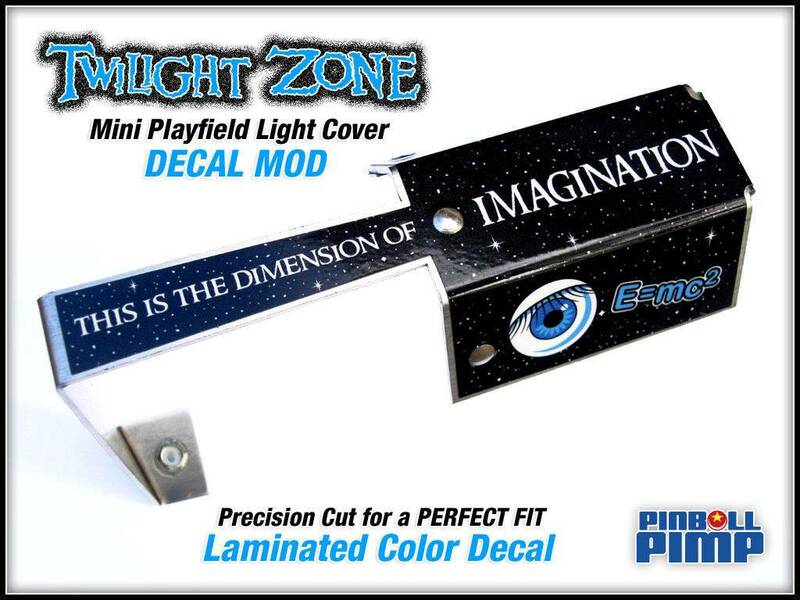 UPDATE: The NEW Matching STARFIELD Mini Playfield Light Cover DECAL MOD is Now Available for sale. 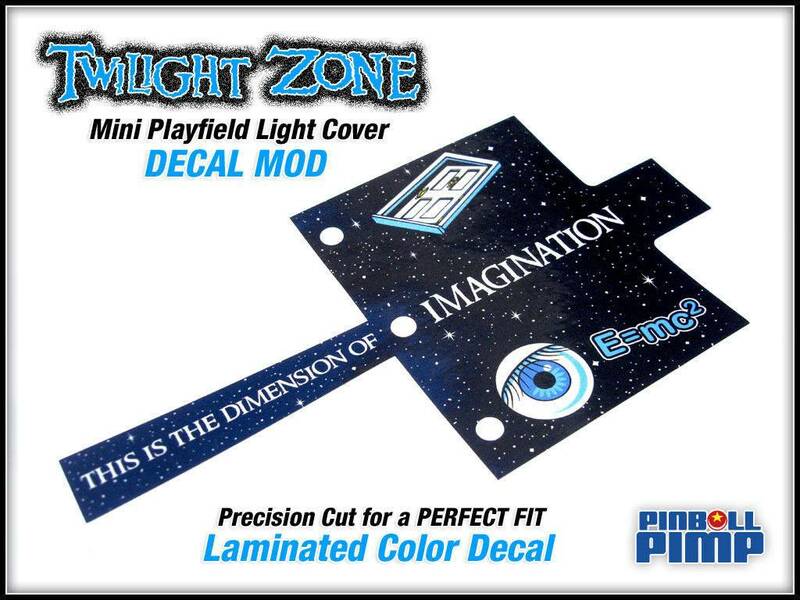 If you bought one of my Diverter decals, this is a MUST have also. It's easier to keep up with sales off ebay so if you are interested in one, purchase at the link or find this and other decals by me on ebay as well. Looks nice, just ordered this. love the spiral backboard I got from you.